When I see and hear about terrorist attacks, in particular, in countries where people are not allowed to have any weapons, it makes me angry. Protecting yourself, protecting your family and your home — isn’t that a God-given right? If a government takes away your right to protect your own body, then what other rights, really, do you have? 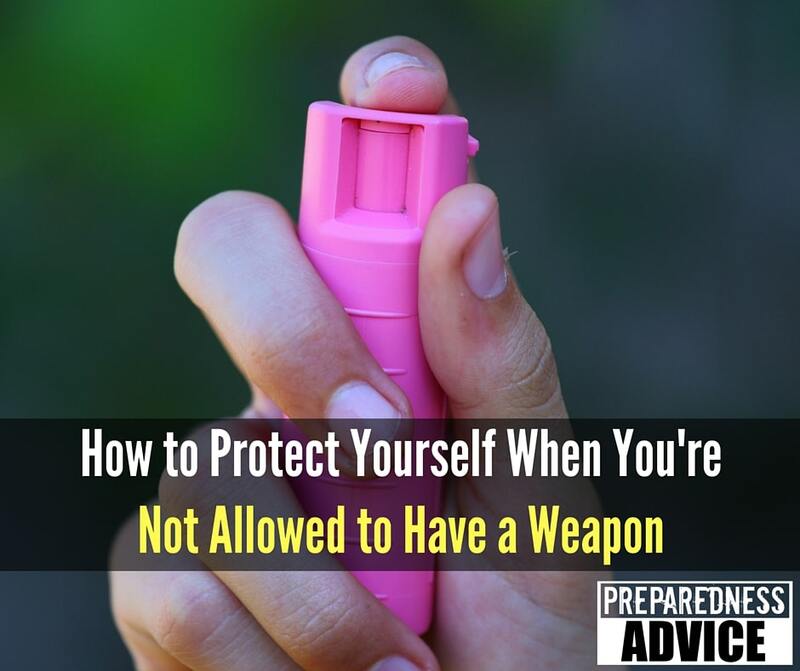 How do you protect yourself when the law denies you the right to have a weapon of any kind? 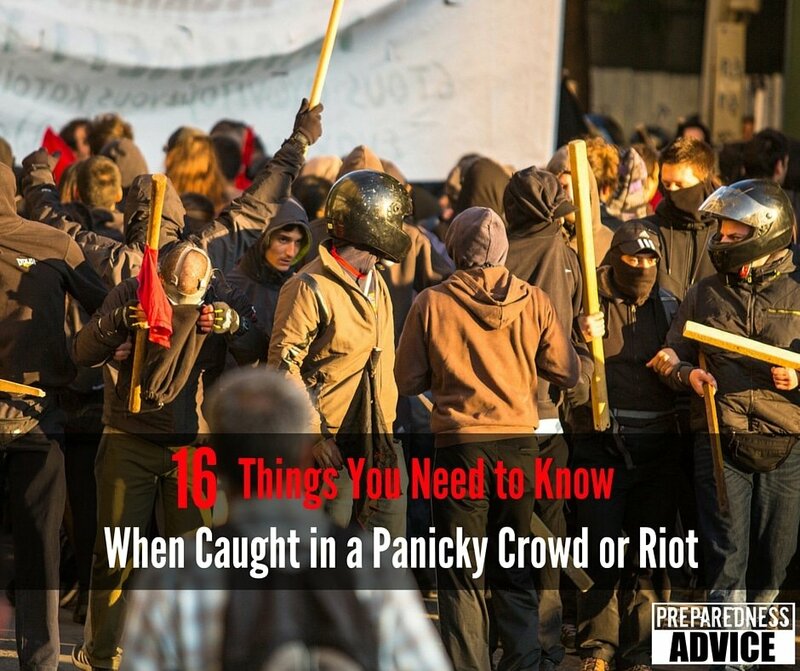 What happens if you are stuck in a large riotous crowd? Now this can be the result of an evacuation or bug out situation, a protest, food riot or any other mob-ruled violence. Now, back in the early 70s, I was working undercover and got caught in a couple of the anti-war riots that occurred during this period. Once, I even ended up on the wrong side of a police line, not the right place to be. 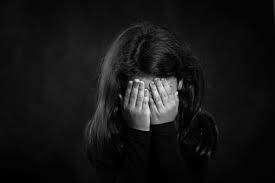 If you are a parent or grandparent you always worry about protecting children from harm during any life threatening emergencies. Now when I mention harm I am including psychological damage that can be caused by us creating an atmosphere of fear. We don’t want to stress our children out. 1 – Don’t scare them. Don’t start with camo face paint, smoke bombs and talk about killing people or violence. With all the floods occurring on the East Coast and the prospect of more to come this winter, I thought it might be a good time to post information about cleaning up after a flood. Now of cause how much of this applies to you depends on how severe the flood affected your home. I believe that a knife is the single most important tool we can have in a survival situation. A knife is your friend, but like many things, if you use it incorrectly it can hurt you. Over the years, I have seen people do stupid things with their knives and end up hurt. Knife safety is like firearms safety, you have to follow the rules at all times. Always handle your knife with care, remember it is a weapon. 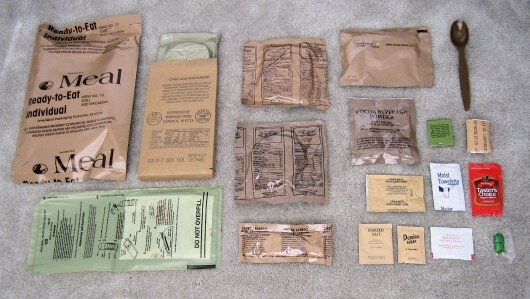 While MRE’s are normally used for food, that are several components that do have other uses than their intended ones. MRE toilet paper can be used to start a fire. Tabasco Sauce – A friend, who spent several tours overseas in special operations, said that they would rub a bit of Tabasco sauce under their eyes to help them stay awake. He said that the effect would last for 30 to 45 minutes. Don’t get it in your eyes. Coffee package – While pulling security they would chew on the poder to help them stay awake. 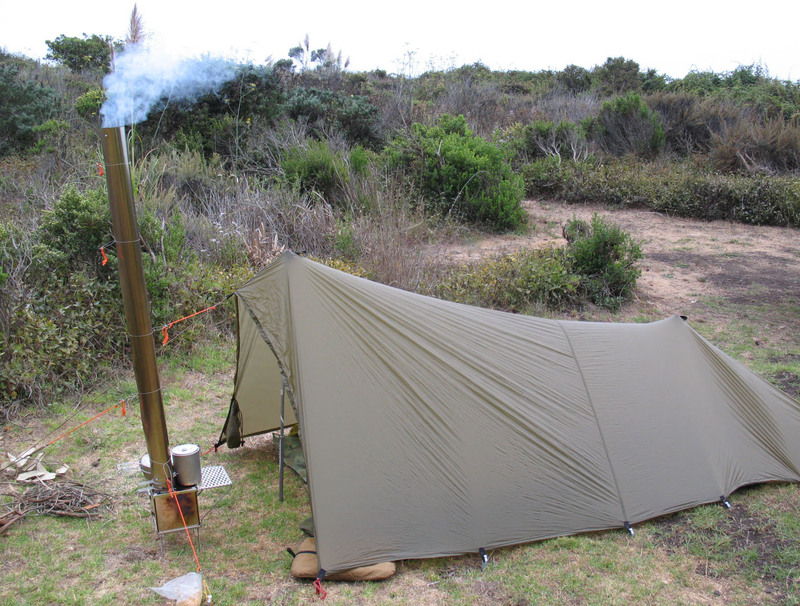 MRE heater had several uses. 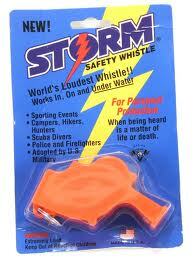 A while back, my daughter sent me several survival items for my birthday; one of them was the Storm Safety whistle. This is by far the loudest whistle that I have ever encountered. My grandkids and wife scatter when they see me coming with it because it is so loud. They say it hurts their ears. The other day I was talking with one of my grandchildren, who is going camping with his scout troop in a couple of days. We got into a discussion of how to decide where to build your camp. I soon realized that this is a subject I need to address in a bit of depth. Here a few simple rules that will help you. Stay out of low-lying green grassy areas, these will collect water if it rains and the ground may be damp. Camp uphill from streams or rivers. This will protect you from flash floods and sudden rises in water levels created by releases from dams. 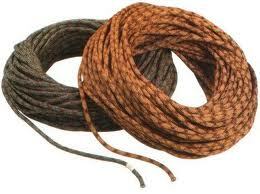 Unlike what many people think ropes are not something that you just throw in the corner letting them get wet and dirty. They require maintenance and care.